If there was anyone who could be described as being as Catholic as the Pope it was Macintyre Emmanuel Nicholas Douglas who died on 12 August 2018 and was laid to rest last Saturday at the Douglas family burial site at the family estate of Hampstead. He attended church every day and at least twice on Sundays. 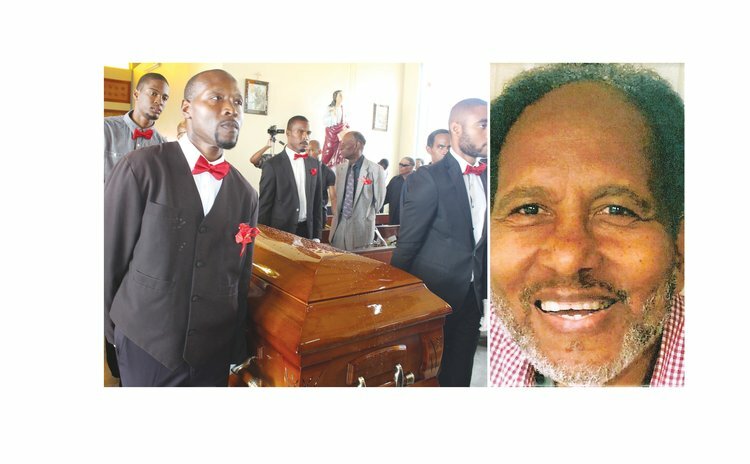 "The Catholic community in Dominica has lost an icon," Douglas's eulogy stated. "Mac, like his parents, was steadfast and uncompromising in his defence of the teachings of the Roman Catholic Church". "He will undoubtedly be best remembered for his unrelenting devotion to Roman Catholicism." But Mac Douglas will be equally best remembered as the son of Robert and Bernadette Douglas and the brother of the late parliamentarian Michael Douglas and late Prime Minister Rosie Douglas as well as the uncle of Ian Douglas, the current Minister of Trade in the ruling Roosevelt Skerrit Dominica Labour Party government. Sean Douglas, the former Press Secretary, former magistrate Tiyani Behanzin and attorney at law Cabral Douglas were also nephews. Additionally, Mac Douglas was an integral part of the business community of Portsmouth, Dominica's second town. "By the late 1960s, RBD began to expand his business interests. Between 1967 and 1972, Douglas Guest House and Snackette, Arbeedee Cinema and the family home on Harbour Lane were built. This was in addition to Hampstead and Hanover estates," said the eulogy printed over six pages in the 40-page multi-colored funeral book which, aptly illustrating Mac Douglas's immersion in traditional Catholicism, included Latin translations of the hymns. "RBD identified Mac as the man to manage the business. He sent him to England where he studied Business at the University of Westminster, formerly, Polytechnic of Central London". After RBD died, Mac Douglas returned to Dominica from England in 1989 to manage the Douglas businesses. Like the other members of the Douglas dynasty, Mac Douglas was a devoted member of the Dominica Labour Party. "In spite of his unswerving support for his party, he was never afraid to voice his opinion even if it differed from the official party line," the eulogy stated. For example, in 2006, Douglas wrote extensively in the newspapers in Dominica against the imposition of the Value Added Tax (VAT), the eulogy stated. When whaling was the popular issue in Dominican politics in the early 2000's, Mac Douglas "rattled some feathers" with his support for Japan's whaling policy and practice. "Months before the London meeting, there were rumours that the Dominica government would change its position on the issue. Mac single handedly led a campaign to persuade the Government to continue to support the principle of the sustainable use of the world's marine resources as adopted at the United Nations Conference on Environment and Development in 1992," the eulogy stated. Unfortunately Douglas fell ill in 2011. "In 2011, Mac fell ill and had to be hospitalized in Martinique for four months," said the eulogy. "He was lucky to have survived as he had contracted meningitis and had a tumour in his brain". Every year afterwards Douglas travelled to England for medical checkups but he did not return alive after his last visit in June 2018. "Mac Douglas left an indelible mark on all those who knew him," stated the eulogy. "He was compassionate and decent. He was also unconventional, superstitious and at times eccentric".